Application: Suitable for packaging extruding food, peanut, melon seeds, pop cprn, condiments, beef beans, desiccant, washing powder, etc. 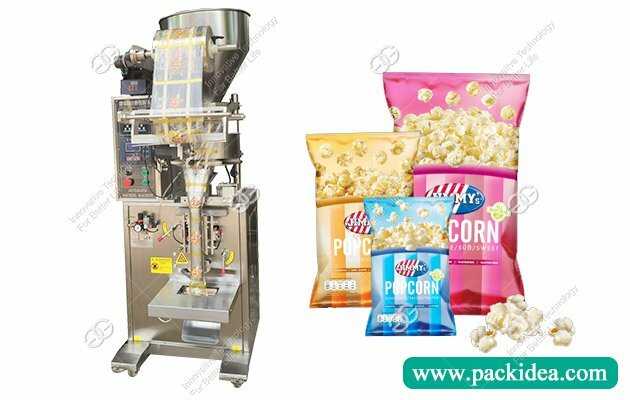 2) Automatic completion from bag making, metering, feeding, sealing, cutting, counting, and printing batch number and other functions according to customer's requirements. 3) Adopt advanced microcomputer controller, drive step motor control bag length, stable performance, easy adjustment, accurate detection. 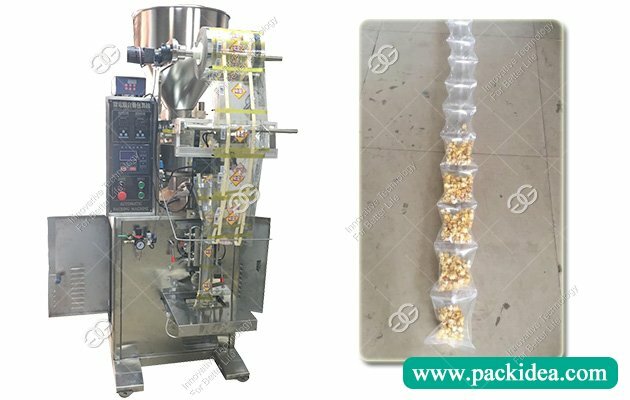 4) Adopt variable-frequency stepless speed regulation, and can be equipped with different feeding mechanism to meet the packaging of grain, liquid, paste, powder etc. 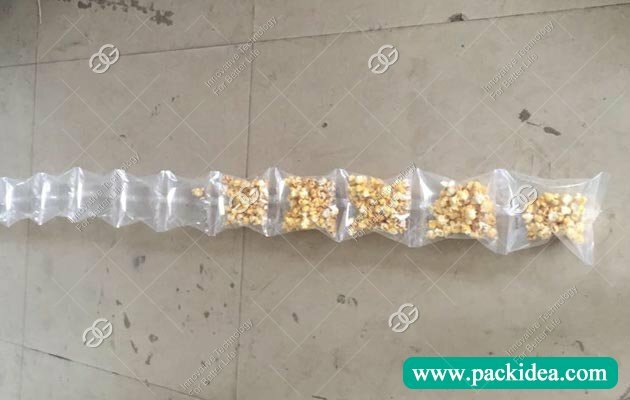 suitable for bulk packaging for extruding food, shrimp, peanut, melon seeds, pop cprn, condiments, beef beans, desiccant, washing powder, etc. 1. It can be customized according to the customer's requirements of three edges and four edges, the routine is the back seal type, and the large dosage packing back seal is more beautiful. 2. It can be customized according to customers' requirements, such as flat knife, tooth-shaped knife, blade, or strip. 3. It can be added with the inflating function according to the need, that is, it can be inflated at the same time in the packaging process, and the packaging effect is more beautiful and so on.